Moses said to the heads of the tribes of Israel: “This is what the Lord commands: When a man makes a vow to the Lord or takes an oath to obligate himself by a pledge, he must not break his word but must do everything he said. When I was a kid growing up on the northwest side of Des Moines, we had a populous and active neighborhood. There were a lot of kids on our block and along the surrounding streets. We regularly hung out and played together. Freeze-tag, Statue-tag, Ding-Dong Ditch ’em, and any number of games might be in the cards on any given summer evening as a bunch of kids gathered to play until the street lights came on along Madison Avenue. As kids, when you made a promise to one another there were always ways that we pledged ourselves to our word. Secret handshakes were a staple. When you pledged yourself with a secret handshake the deal was sealed. It was golden, and you were under obligation. In the files I keep here in my home office I have any number of legal documents binding me to my promises, vows, oaths, and pledges. There’s a mortgage binding me to pay back the money I borrowed from the bank to build my house. There’s the agreement my partner and I made to buy our company from the founder. There’s a marriage certificate binding me in a legal marital obligation to Wendy. All of them are official, legal, and filed with the civic authorities lest I break my obligation and open myself up to the consequences. Back in the day when Moses and the Hebrew tribes were wandering around the wilderness, human societies were in the “neighborhood kid” stage of history’s life cycle. There were no well established and precedented legal systems. Writing things down, signing them, and storing a record of an agreement for were out of the question. Writing utensils and the ability to record and store the agreements were thousands of years away from being a reality. Moses and the tribes had basically been stuck making secret handshakes. Today’s chapter is among the first ancient attempts in human history to create a system of rules by which it was determined if a persons vow was binding or not, and who had authority to overrule a person’s vow or oath. Of course, anyone who’s ever seen a library of legal codes or the tax code knows that over time we humans have a way of creating a dizzying complex system of laws, amendments, precedents, and loopholes. The Jews were just as human. The fairly basic, straightforward text of today’s chapter became a burdensome cultural and religious system in which oaths and vows were taken seriously based on the specific wording you used. If you vowed “by heaven” it might be more binding than if you vowed “by earth” although not was binding if you swore “by my head” except in certain circumstances, in which case it would have to be determined by section C, paragraph 2, sub-paragraph Q…. You get where I’m going with this, right? Say what you’ll do. Do what you say. Freedom in simplicity. Today, I pledge myself to that simplicity. 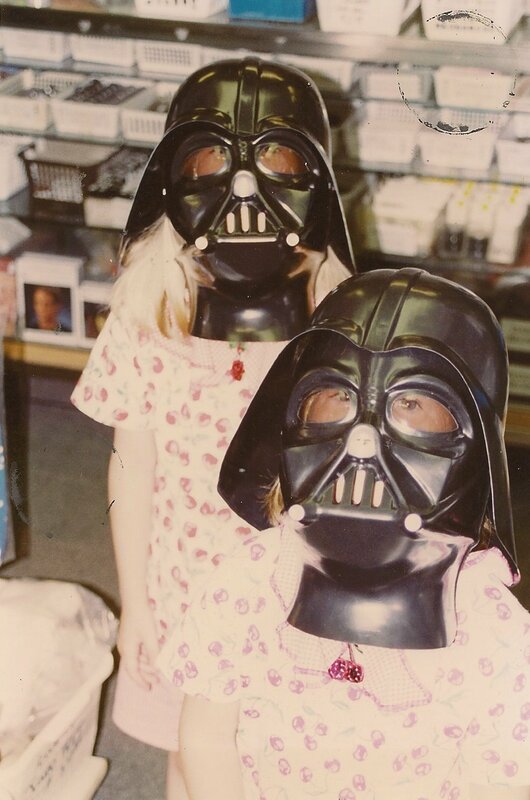 Being the youngest of four, I got used to hand-me-downs. And, when I did get something that mom and dad bought me new it was usually built with growth in mind. My birthday is on Wednesday this week and I’ve been thinking about birthdays past. One of my birthdays as a child became one of my most memorable, and it came with both good news and bad news. 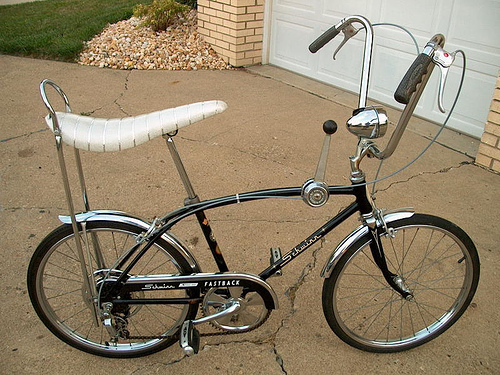 The good news was that my parents bought me a shiny, brand new Schwinn Stingray five-speed bicycle complete with banana seat that was the coolest, most unexpected birthday gift I think I’ve ever gotten. The bad news is that they bought it big so that I could grow into it and so it would last me a long time. In fact, I did ride it until I was almost in high school. But my little legs struggled to reach the pedals and I grew frustrated with my siblings who all took turns riding my bike (it seemed to fit them perfectly). I guess sometimes when we get things “to grow into” the growth is more than mere physicality. Despite my frustration with the bike being to big to begin with, I did grow into it quickly and it became one of the most cherished childhood possessions. It became a tool of childhood freedom as I explored the streets and neighborhoods around my childhood home. It became a symbol of a young boy’s machismo as I learned to pop wheelies and ride with no hands. It taught me that some things you do grow into, grow out of, but never forget. Those of younger generations reading this post will have to forgive my “old man” reminiscence this morning, but reading this morning’s psalm brought back some enjoyable memories of childhood. When I was growing up, television had four channels (ABC, CBS, NBC, and PBS). Cartoons and children’s programming were reserved primarily for Saturday mornings between 7:00 a.m. and noon. My childhood ritual was to be in the basement in front of the television somewhere around 6:30. I would endure the final half-hour of U.S. Farm Report before my weekly cartoon binge would commence. Even in those days parents complained that a five hour smorgasbord of television would rot our brains. 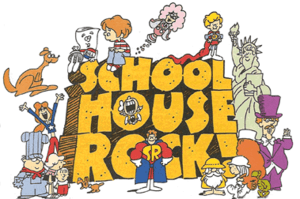 So, one of the networks began airing a series of short cartoons called Schoolhouse Rock which taught lessons of history, math and grammar by packaging them into catchy songs with accompanying cartoons. I loved them, as did my entire generation. I’ll never forget my 8th grade Social Science class in which one particular test was to write out the preamble of the U.S. Constitution word for word. I can still remember an entire room full of kids muttering the Schoolhouse Rock song as they wrote out the words. Using music as a mnemonic device to remember things has been used since ancient times. In fact, psalm 105 is a ancient version of Schoolhouse Rock. It was intended as a survey of Israel’s history in musical form which people could sing and remember. The song even ends with a nice little moral, calling people to obedience in light of all God had done. Today, I’m thankful for my childhood, for Schoolhouse Rock, and the way that music can not only entertain but also educate. Awesome birthday. 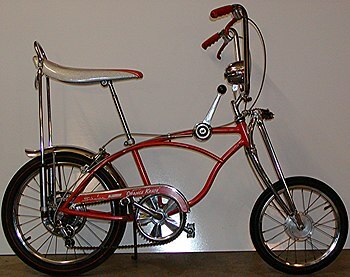 I was five or six and my parents bought me a Schwinn Stingray five-speed with banana seat and chopper handlebars complete with tassels. It was so big my feet barely touched the pedals. I grew into it and spent the happiest memories of my childhood tearing around the neighborhood, poppin’ wheelies, sitting in the driveway with Scott Borg watching cars bottom out on the dip at the end of the block, giving a 1 to 10 rating for the girls and the cars that drove by, and Delivering the Des Moines Tribune. My daughter, Madison, called yesterday. It was good to hear her voice. Now that she lives in a city hours away, I relish the sound of her voice. I’m thankful that technology makes it so easy to connect. Then, in the afternoon, I heard voices downstairs and discovered that Taylor had stopped by and was chatting with Wendy. Getting a hug from her made my day brighter. As I read today’s chapter, I found it interesting that Luke reminds us twice that Jesus’ mother “held” the experiences of his childhood “deep within.” Having interviewed Mary after Jesus’ death, I wonder if those were her words, or if it was Luke’s observation as he listened and watched. After 30 years of consistently reading God’s Message, I have a greater appreciation for Mary’s experience than ever before. I’ve read this passage countless times and have given little thought these words. Time and experience never cease to provide a more expansive perspective to each chapter I read, and now the words leap off the page at me. With the girls grown and gone, I find my mind constantly accessing the hard drive of my memory to view in my mind’s eye the moments from their childhood which I hold dearly, deep within. Who they are today, and who they are becoming is rooted in the very first steps of their own journey. I hold the memory of those first steps dearly, deep within.